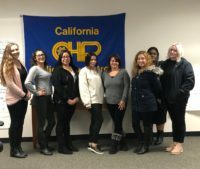 WEST SACRAMENTO – Dispatchers training at the CHP Academy in West Sacramento received a new employee orientation introducing them to the California Statewide Law Enforcement Association (CSLEA) and the CHP Public Safety Dispatchers Association (CHP-PSDA) on March 26, 2018. 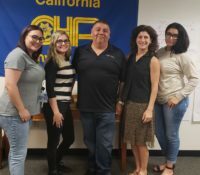 The 15 dispatchers present, three of whom are already members of CSLEA, learned about CSLEA benefits and services and who to contact at CSLEA. “Our attorneys are here for our members to answer even the smallest of questions,” said Barcelona. “We are a very strong safety net for our members and strive daily for improvements that will benefit our members. Attending the new employee orientation on behalf of CSLEA were Member Services Representatives George Pina and Marco Castro.